An interview with Colette Ballou, founder and CEO of Ballou PR. A key element of an effective and positive company culture is the strength of the company’s internal and external relationships. One of the skills necessary for a great CEO is the ability to build and sustain high performance relationships amongst her managers, employees and customers. These relationships are characterized by shared values, shared goals, shared knowledge, and mutual respect. The internal/external relationships help to build a collective identity for the team, which then enables them to come together more easily in coordinated collective action. Companies that lack shared values, shared goals, shared knowledge and mutual respect, tend to have weak collective identities. Individuals in these companies do not identify with the company strongly and tend to consider what is best for them first, rather than what is best for the company. The advantage to building a relationship-focused business is not only to drive growth and profitability during the good times, but also to support and sustain the business through the tough times. The social capital embedded in the relationships of a company is critical to maintaining its performance. Smart CEOs understand this, and build systems and procedures into their company to enhance and sustain those relationships. Colette Ballou has, over the past 15 years, built a highly successful business with an impressive roster of tech clients. Colette has achieved this by building high performance relationships with her managers and team, as well as blue- chip customers such as Facebook, Pinterest and Stripe. The company puts their own team first, with the mantra that happy employees make for happy clients, and refreshingly at Ballou PR, the customer is not always right. I spoke with Colette about how the poor leadership and disrespect she had witnessed in her previous roles had shaped her thinking about how she would build Ballou PR. Tell me about Ballou PR. 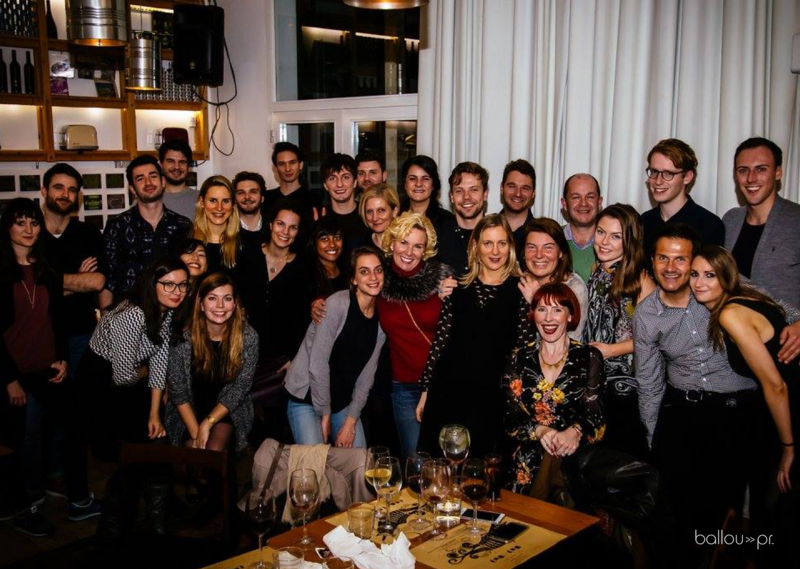 Ballou PR is a boutique PR agency and we’ve worked with high-growth tech companies like WhatsApp, Box, TransferWise, Waze, Twilio, Criteo, Facebook and Zendesk from our offices in Paris, London and Berlin. We are a team of 30 PR specialists who focus on the tech sector working with both B2B and B2C companies. I opened the first office in Paris in 2002, eight years later we opened the London office and in 2012 we opened the Berlin office. There is a GM in each office who runs the business for that market, and they answer to a European MD who answers to me. Sets the overall vision and strategy of the company and communicates it to all stakeholdersRecruits, hires, and retains the very best talent for the companyMakes sure there is always enough cash in the bank. All other tasks get delegated, and I trust the managers and the teams to run the businesses in their respective markets. How would you describe the early days of getting the business off the ground? It was tough and France was a real challenge for me, an American who didn’t speak French very well and who had never lived abroad. For the first five years I didn’t pay myself and for the next two years I was paid the least of all. We had the usual start-up challenges of building a brand from scratch, making payroll, cash flow issues, working with difficult customers and, of course, French labour laws. Where did your initial thoughts on company culture originate? I developed my ideas about culture from my experiences working in different PR agencies, where I experienced first hand how not to do it. I was working for people who weren’t good leaders and didn’t respect their staff. In one agency, the senior management would regularly scream at the staff, humiliating and embarrassing them in front of colleagues. I swore that no one I worked with would ever be treated like that. I also realized from the start that the client isn’t always right. We hope they are, but it is our job as professionals to correct them if they are wrong. It’s about speaking truth to power. Just saying “yes” to keep the client happy happens a lot in the PR industry and I saw that before I set up Ballou PR. I believe that our role is to give the client the best counsel we can, and push them to be responsive and responsible. For example, it’s important to tell the founder or CEO when their plan won’t work. One of our clients was coming to Europe on a road show and their aim was to get as many new sign-ups as possible. They had meetings set up with the likes of the Wall Street Journal but as a consumer app they needed to talk to the consumer press, so we had them meet with all the major daily papers. It can be challenging at times, but you have to communicate with firmness and respect and stick to your guns. How did you build the culture at Ballou PR? I believe, as the founder and CEO, that the culture is first and foremost an extension of who I am and what I believe. In the early days things were so busy and we were in start-up survival mode of winning deals, fighting fires and building a trusted brand, so I didn’t have the luxury of spending too much time really thinking deeply about the culture that was forming. I tried to lead from the front and treat people fairly, but that was the best I could do in those early years of scrambling, I just didn’t have the bandwidth. However, when I look back, I realize that I did set the standard and build the foundations for the culture we have now. I behaved in a certain way, which demonstrated to the team what I expected from them. I wanted to show that there was no unnecessary hierarchy - if there were dishes in the kitchen I would wash them, I would clean away the empty cartridges in the coffee machine or if the phone was ringing I would answer it. By doing this I set the standard for the team. If we had any issues with politics, or disrespect of another colleague, I would cut it off immediately and make it clear that it was not going to be tolerated. When mistakes were made we respectfully discussed what happened and what the learning was. So it’s fair to say that in the early days I was building the culture through my actions, reactions and behavior. I have spent more time on building our culture as we have achieved success and had the luxury of being able to think about what we want, and where we are going, as a company. What interview process do you use at Ballou PR? Everybody in the local team must have at least one interview with the candidate. That may mean a number of individual face-to-face interviews or a lunch with multiple team members. Don’t forget that sociopaths can mirror up to two people at a time, so one of the interviews is always a three-on-one interview. I don’t get involved in the interview process unless it is at GM or MD level, or the hiring manager has requested me to. I trust my colleagues to bring in the right people, and that trust has paid off. Frankly, hiring senior executives is quite a challenge in our industry as they, more often than not, have already learnt the bad habits and working practices that we avoid at Ballou PR. One thing that is very important to us, is not taking one’s self too seriously. You must have a sense of humour about yourself to thrive at Ballou PR. How and when do you interact with new team members? I have a meeting with every new colleague to discuss how and why I started Ballou PR. I tell them the story of the challenges we faced in the beginning and the successes we have achieved. I discuss culture and reiterate how it’s up to them to maintain and add to the culture. I also explain that it is their job is to make sure that we, as managers, stick to the promises we made in the interview process. They are empowered to hold us to account. How do you handle employee reviews? I have a mantra that no employee review should come as a surprise, ever. This is a mistake that was made regularly in other PR firms at which I worked. It doesn’t make any sense that a review should be a surprise. It simply means that the manager has not communicated effectively to the employee prior to the review. At Ballou PR we agree a plan with each member of the team and if you start to go off track then we will discuss that and work on it with you as soon as we notice it. If there is any negative or unsuitable behavior the manager will have an offline conversation with the person as soon as it is flagged. We try to understand their side of the story, explain that they won’t get ahead behaving in this way and reiterate our values. If behavior needs to be corrected we communicate it immediately and we always communicate with respect. We will never call it out publically. This stops the situation from becoming worse and the office environment from becoming toxic. We know that the employees are not deliberately trying to destroy the company, and that they will make mistakes. By dealing with problems immediately in this way, there aren’t surprises at the employee review stage. How else do you get involved with the offices? I spend time in the offices every month and also will visit when I feel that it is important for me to be in a certain office at a certain time. A good example of this is Brexit where I planned to be with UK team on the day of the result. I didn’t expect Brexit to happen, of course, but am glad I hedged my bets and was with the team that day. I was able to soothe jittery nerves by speaking to the UK team about what it meant for us and how we would get through it. We expected some currency fluctuations and a weaker pound could actually be beneficial for the business. I made sure everyone understood that we had a plan and that there were no jobs on the line and no offices would have to close. Essentially there was no immediate threat and there might actually be opportunities for us. Ballou PR is focused in the tech sector, which is a great place to be right now. I summed up what I said to the UK team and sent a company-wide email about what it meant and what our plan was. 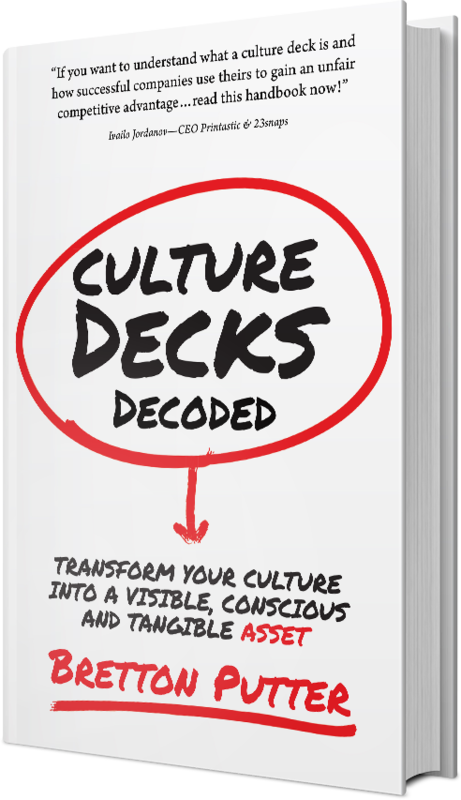 Has your culture impacted the approach you take to working with your clients? We have an “employee first” culture. Happy employees make for happy clients. To that end, we only work with clients that are dynamic, high-growth organisations with a purpose, and respectful of what Ballou PR brings to the table. There is a courtship period before we write the proposal, and during it, we invest time getting to know the Client and understand whether we can move the needle for them and whether we want to work with them or not. This works well – for example, one prospect started to write to us in capital letters, was aggressive, and we quickly bowed out of that bid. In short, some clients are a good fit for our values and others aren’t. Occasionally we do end up with a toxic client. And let me be clear – the team doesn’t need to be mollycoddled. But if the team speaks up and identifies a client as toxic, I know it’s gone pretty far, so I speak to the client about it immediately. It’s delicate.. I understand that our clients are under pressure, and I try to understand their personal situation as well - what kind of pressure they are they under and how we can possibly help them. I try to sort it out so that the working relationship gets back to normal. Sometimes it works, other times it doesn’t. But abusing team members is simply not tolerated. How do you manage multiple offices? In short, three excellent GMs who I trust deeply and are empowered to run their offices and who know when to bring me in to help solve things. They have control over their own P&Ls. I have a weekly check in with the country GMs and the European MD and quarterly meetings with the management team. I have a meeting with the European MD and board of advisors every 6 weeks to discuss any specific challenges or problems we may be facing. Great name, right? I proposed it to be funny, but the team loved it, so we kept it. Ballouniversity is an investment in raising the skill level across the company, sharing knowledge, and codifying our culture. We surveyed the team about the skills they needed to develop and knowledge they wanted to learn, and spoke with the management team and board of directors about what skills we should be teaching to further the company. Ballouniversity offers 10 courses each year, in each office, on a revolving basis. It incorporates an office exchange program: 4 people attend from the local office and 2 people attend from the other two offices. Each course involves learning about and developing essential next-level skills such as presentation skills or perfecting the new business process. Attending the courses help employees gain the skills they need to be promoted – I’ve always felt that if a team member is not promotable, it’s not just them – it’s also a failure of management. We also hold Lunch & Learn sessions, which is an informal chat about a subject that the team is interested in. We had a guest lecturer talk about Bitcoin a few weeks ago, I’ve taught about how to assess a prospect, our VC clients have taught about the structure of VC, we’ve had an LP client speak to us about her role as a limited partner, and we often have journalists come in to tell us what they are curious about covering.